For 2015, Taurus has brought out a new convertible version of its classic Model 85 revolver. The new Taurus Model 85 Convertible revolver features a removable spur that allows the shooter to transition from a standard hammered revolver to a hammer-less double-action-only (DAO) revolver depending on the situation. 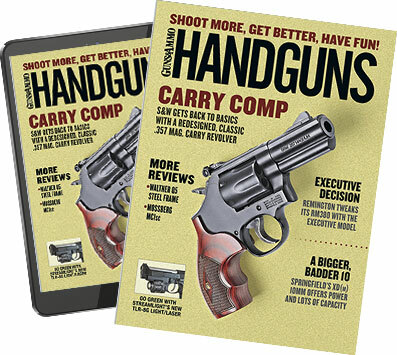 Shooters have the option of manually cocking the hammer back for precise shooting or removing the hammer for snag-free concealed carry in a holster. The conversion process is simple, and all the user must do is rotate the spur and pull back to remove it. The spur easily inserts back into the revolver if the shooter decides to reattach the device. The Taurus Model 85 Convertible revolver will be available late in the second quarter of 2015, with pricing listed as $401 for the stainless steel version.